MIGNONNE: Do you know about Yelp? Yelp is a fun and easy way to find, review and talk about what's great (and not so great) in your local community, or interesting places you have visited. You already know that asking friends is the best way to find restaurants, dentists, hairstylists, and anything local. Yelp makes it fast and easy by collecting and organizing everyday people's recommendations in one place! 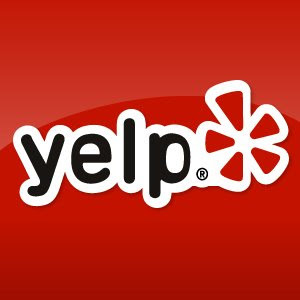 Yelp is differentiated from other similar sites by their Yelp Elite members. The more reviews a member makes, the larger their chance to become an Elite reviewer. And reviewers also benefit from feedback and reviews of other members. Yelp doesn't pay for reviews. Instead, the site motivates members through the praise and attention that their reviews receive from others. “Yelp is about the reviewing experience,” co-founder Mr. Stoppelman explains. “It is like a blog with a little bit of structure.” The site deliberately focuses on the reviewer's experience. “We put the community first, the consumer second and businesses third,” Mr. Stoppelman commented. (quoted from New York Times 5/12/08 article). Yelp boasts millions of viewers and a plethora of reviewers in major cities throughout the U.S. The opinions are as vast as their member community and really reflect the local personality of each area. Whenever we are headed on a trip to a U.S. city, we take time to check out Yelp to get a feel for the scene ... whether it is restaurants, lodging, art, nightlife ... you name it, you can probably find an opinion. Of course, the next question is whether or not to trust that opinion! Yelp started off in San Francisco (mais oui, bien sur!) and after the first year ... branched off to other major cities. Yelp is not limited to restaurant reviews, but focuses on the community at large. So you will find information on retail venues and service spots, in addition to restaurants and bars. Yelp has now expanded to London, so I'm dreaming and hoping that Paris will be next! If so, I intend to go for Elite as I have much to share on the topic of Paris!!! Mignonne is featured within the Yelp community and we currently have 14 reviews. If you'd like to read our reviews, or comment upon our store ... just click HERE.